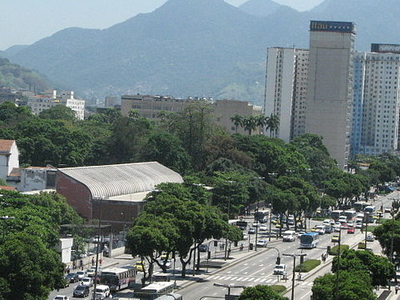 The Avenida Presidente Vargas is a one of the main throughways in city of Rio de Janeiro. The road was designed by Getúlio Vargas, who was president of Brazil at the time, while the city of Rio de Janeiro was still the nation's federal capital. The avenue connects the region's Leopoldina to the end of the North Zone Candelaria in the region of 3.5 km and four lanes for transit vehicles, relying on each lane to four-way movement of vehicles, and two of four lanes in order Candlemas; and the other two towards the northern zone, such clues are irreversible. By the middle of the avenue, is a channel which flows in the Rio Maracanã, near the old Railway Station Leopoldina. It follows in their midst, even approaching the Brazil's Central, where it is diverted, leading to a boardwalk which is now famous for flowers and small trees. 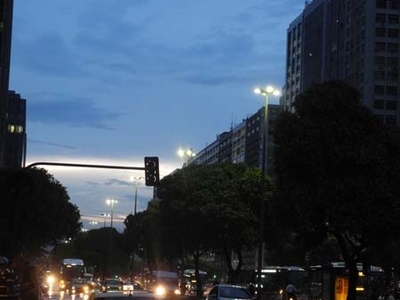 The avenue is of paramount importance to the city center of Rio de Janeiro, because it cuts at right angles for the most part, going through major thoroughfares and roads as well as Red Line and Avenida Brazil in the vicinity of North Zone and avenues Rio Branco and First of March. It thus gives access to main streets downtown, and major shops. The boulevard is the entrance and exit center and indirectly connects the North Zone, south and west of the city. In other words, it is the "center" of the center. On the margins of President Vargas we can find numerous icons of Rio de Janeiro. In New Town is the Archive City, The Sambódromo, The Praça Onze, The headquarters of Prefecture, The headquarters building of Post office and court of samba school San Clemente, though it is the neighborhood of Botafogo as well as most components. In the region of Brazil's Central we have the same name metropolitan train station, the Palácio Duque de Caxias and the Campo de Santana. In Uruguaiana Street, We SAHARA, and The People's Market Uruguaiana. 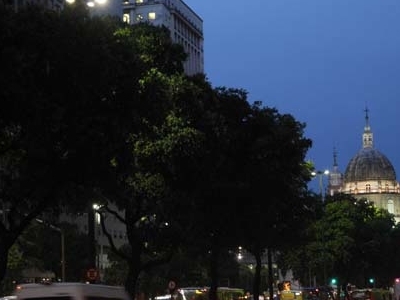 Here's the our members favorite photos of "Famous Streets in Rio de Janeiro". Upload your photo of Avenida Presidente Vargas! Rios Historia is the only Touristlink member to visit Avenida Presidente Vargas. Have you been here? Click here to save it.